Burling Gilbert Galt Hull was born on September 9, 1889 in Brooklyn New York to parents Cartwright R. Hull and Bertha L. Gilbert Hull. 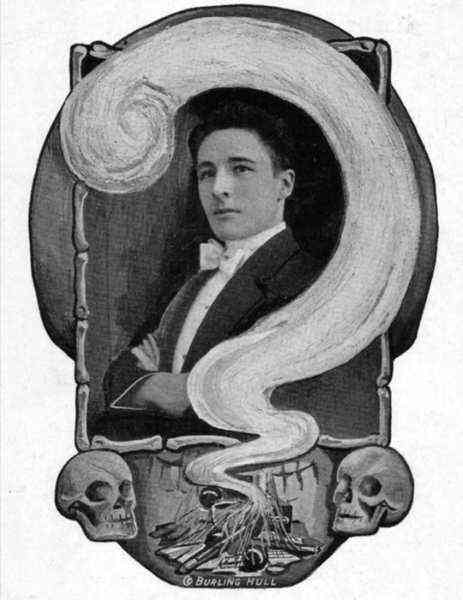 Burling spent more than 60 years performing as a magician and mentalist, writing books, and inventing tricks and illusions. He is best known for his mental acts. Hull was very self-aggrandizing and boastful individual, he made many unsubstantiated claims of "being the first at" or having invented a certain trick or illusion. This reputation earned him the nickname of "Hurling Bull". Hollywood actress Caroll Baker once worked for Hull as a box jumper (magicians assistant). Burling is credited with inventing the "Svengali" deck of cards, which is one of the easiest to perform and most baffling of card tricks. Burling Gilbert Galt Hull died on October 1982 in DeLand Florida, he was 93.